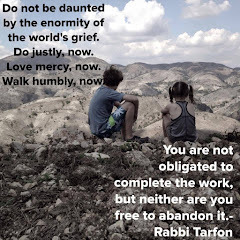 I am happy to be back at my blog, "Ask Isaac" for a bit this summer. Sorry for my very long absence, however I will be taking questions this summer so get those thoughts coming. There is one other thing I want to say. If you visit my blog archives/history you will see a lot of the questions have involved Haiti and living in Haiti. Those types of questions are great but think outside the box, get abstract, and ask creative questions. This summer I will be in the States for 8 whole weeks so I would love to answer any questions you have about that. I still love vocabulary words and will do my best to use new ones when I write. On the far right of both photos is an extraordinary woman and sister of ours named Winifred. 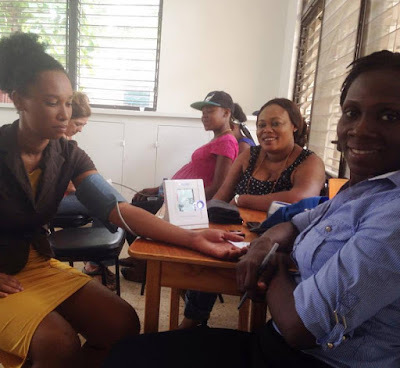 Those that have traveled to visit Heartline Haiti or maybe worked with the fields hospital the year after the earthquake know Wini. If you worked with Wini you saw: love, compassion, concern, tenderness, gentleness, skill, experience, wisdom, kindness and PATIENCE. We decided at her going away party yesterday that the number one lesson she has taught us all is patience. When the rest of us are frustrated or getting to the end of our rope with a situation or problem, Wini is ever steady and calm. To say that our lives have been touched by her presence and example over the last six and a half years is a large understatement. 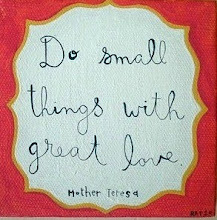 Please keep Wini and her family and the Maternity Center Staff in your thoughts and prayers as we all face this change. Winifred is headed to start a new life in Florida. 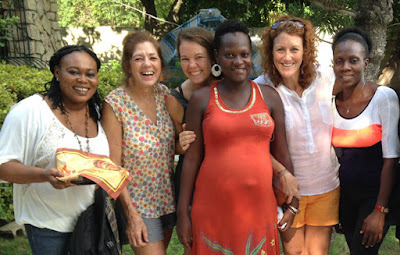 MC Staff Party: Yesterday the staff gathered to pray and celebrate Winifred (far left). Swimming around in the mushy grey area in my disordered brain is a list of about sixty things I hope to accomplish in the time we are in the USA this summer. I am nothing if not stupidly unrealistic about how much can happen in five weeks time. I mean, it is America, things happen only easily, right? Besides my seven mile list of appointments, (GOALS) - I also have an appointment to be with Graham. He will be in MN the entire month we are there and we are so excited to see him often. His fan club is currently mobilizing and preparing for much hullabaloo in July. He is 20 months old now, so he knows everything there is to know and he has a mind of his own. Today, I was driving with Lydia and Phoebe in the ambulance out to pick up a lady from the hospital and eight year old Lydia said, "Well, I am not really looking forward to having kids but when I do I hope they are easier than Graham seems to be. He is a real piece of work, huh Mom?" He really is. We cannot wait to watch him in action. Forgiveness is so hard, but it is a part of love. This is just something you figure out when you reach 40 or so. I am telling you early, to save you the trouble. Sometimes it feels like the pain won't go away, or the embarrassment or shame is just insanely HUGE and earth-shattering. It does feel that way in the moment, your Mojo knows it so well. This might sound silly to you, but just give it a few weeks. After a few weeks things seem smaller. You are just gonna have to trust me on this one until you get a chance to see for yourself. In the last six years, dozens and dozens (hundreds) of new orphanages have opened in Haiti. 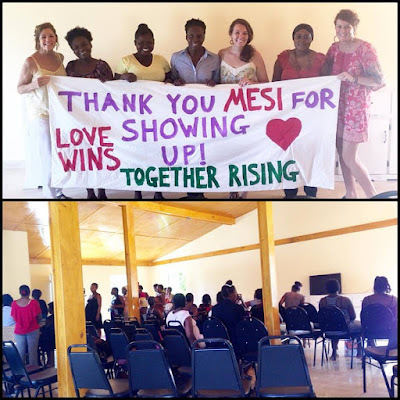 Currently young women and churches are raising money to start their new program and build their new buildings. These well-intentioned folks come in and build their buildings and take in children that have living families in a country where extended family often raises children. What usually happens from there is pretty much the most devastating thing I have observed in our decade in Haiti. Talking about this can cause defensiveness and a shut-down in conversation. Shutting down conversation is not the goal of sharing what we've seen and learned. We need - we MUST - ask ourselves really hard questions and examine the things we do. It requires a lot of humility, it requires being willing to change course. I found this to be a very excellent talk and I hope everyone that cares about children will watch this. I *try* not to write about the same boring thing too often. Trying is the best I can do. Writers usually write what they are thinking about. I think about the same things over and over. This can cause some problems when I want to write about new and fascinating topics. In 2010 I explained a problem in my household. Perhaps in the period of six years, you all SOLVE the problems in your household. Congratulations to you! That is not how we roll. To review the problem we have, I will give you the shortest possible version: Troy stockpiles food and likes there to be a lot on hand. When he goes to the grocery store his average bill is $350. I prefer not to "over do it" and just get some sort of sick and smug and Mother Superior satisfaction over having less on hand. When I go to the store I typically spend about $150. We just have different ways of being. He looks at me like I am crazy and says, "Tara, that is not that much chicken I bought. You don't understand how fast we will eat that." I look at him and think, "Why are you ready for Armageddon? You're not going to have enough propane to cook all that chicken when the bombs start dropping, so why buy it in the first place?" This disagreement has to do with the culture(s) of the homes we were raised in and we both feel our way is better. One of us is right. The one that is right has a four letter name starting with T.
We are taking our clowns on the road in July. The plan is to fly to Florida and then saddle up the rental mini-van and begin the long trek North, to God's country. We love traveling to the USA with these Third-Culture-Kids because they make everything joyful. The main conversation of our household as the trip is drawing closer has to do with how amazing mini-vans are and how clean the public restrooms are. They are not trying to be hilarious. They are dead serious. It doesn't take that much to impress them and that makes traveling with them a total blast. We plan to rate every bathroom we use and marvel at the flushing toilets and well stocked paper towel and toilet paper at each rest-stop. Isaac describes the mini-van as "luxurious" - I can't even make this stuff up. It is pure gold. As we prepare to leave Port au Prince, we are imposing a 2016 "Eat Down". This means no going to the store to buy more groceries. It means you look at the food you have in your house and you make a meal with it. Eat Downs bring me into the fullness of superiority and glory - there are simply not enough SELF congratulations to offer when a can of french-cut green beans is my breakfast. June 2016 Eat Down kicks off today. Wish us the best. This weekend we put off going to the grocery store no less than five times. This forced us to the point of serving a different meal for every person on Sunday. I knew it was bad when Isaac came into our room Saturday morning and said, "Can you put syrup on those sandwich buns?" Then on Sunday he returned asking, "If I have that leftover taco meat for breakfast would that okay?" Taco meat for breakfast? Sure. Why not? I get really weird when there is no food in the house; like I get some twisted enjoyment out of proving that it is possible to make a meal out of a can of refried beans, some mayo, one sleeve of saltines and three nearly rotten apples. It is called an "eat-down" and it is a thing, a real thing. It means that you take inventory of your gluttonous ways and truly look at the food you still have in your pantry. Who says a can of corn is not a meal? Throw a pickle and a black olive on top and it is a colorful culinary vegan masterpiece. The real trouble occurs when Troy starts to feel he is not properly providing for his family because the cupboards and refrigerator are bare. He feels safest when there is a two month supply of the staple items. Oddly enough it caused issues when we first got married because I prefer to scrounge for food and feel superior over not needing to have a big stash and he prefers to have a freezer full and feels smart, safe, and ready for anything. (Earthquakes!) He used to grocery shop occasionally in those early years and I would be annoyed at his massive stock-piling. I did not even know why I was mad. Meanwhile, he thought I was an idiot for going to the store and only getting enough for five or six days. We finally figured it out about five years in, so now we enjoy mocking each other like all loving married people do. 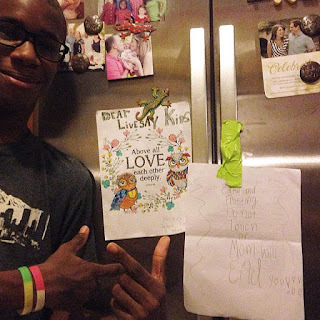 After the post I wrote Sunday, Troy declared that he was officially on board and not only was he on board but we would be legalistic and even barbaric in our eat-down rules moving forward. Apparently if I want to mock his preferred methods, I had better be prepared to prove I am loyal to mine. 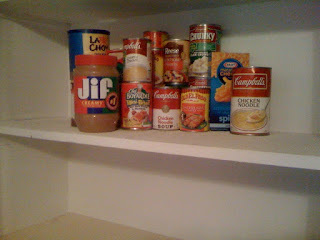 The photo above represents the last of the food in the pantry as of this morning. There are also 12 stale instant oatmeal packets remaining. The freezer has one half bag of frozen veggies and two hamburger patties. The refrigerator has condiments, two eggs, four sticks of butter, and 1/4 gallon of milk. Last Wednesday the people living in this home began to whine and complain. They even declared there was "NO food in the house" - yes, a full week ago. Yet, we've eaten at home every night since then and no one has been forced to go hungry. Have we had some weird meals? Sure. But we ate. The Livesay family is blessed beyond measure. We are in the portion of the worlds population that live with the privilege of declaring there is "no food" - when in fact we have six to seven more days of food in our house. We learned a valuable lesson. We don't know what NO food is like. We only know that we get whiny when we're out of fruit and our favorite snacks. The point is not to feel guilty about what we have access to and resources for, not at all. I'm not teaching my children anything of the sort. The point is to consider that what is "no food" to us and what is "no food" to most of the world cannot even be compared. The problem of hunger and poverty in just one tiny country alone is mind boggling; we know that many face a daily struggle to feed their families. This is the grievous reality that I pray I live to see changed. 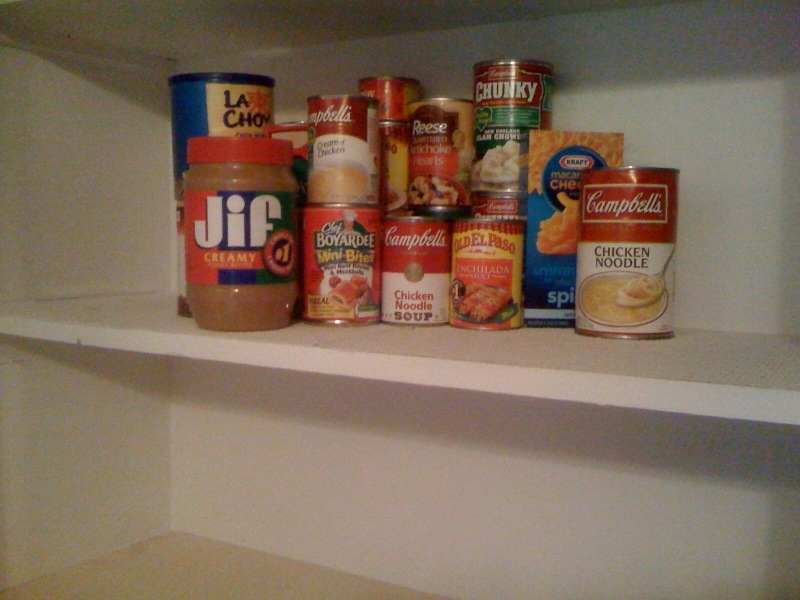 The food that remains in our pantry, the amount we refer to as having "no food", may exceed the amount of food most families around the world will consume this week. 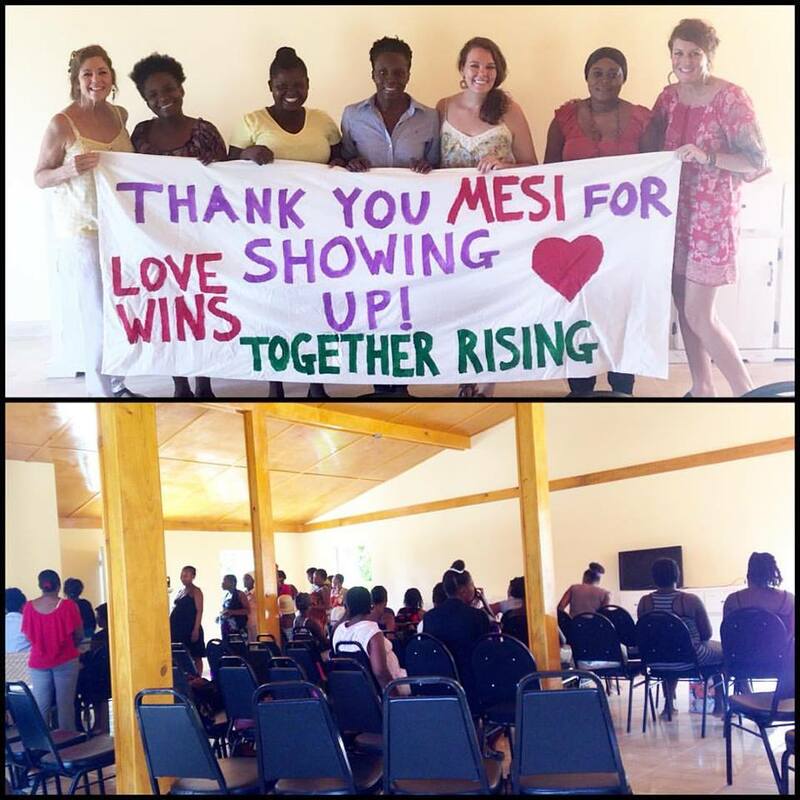 Late October of 2015 @momastery and her amazing readers were kind and generous and showed up in a beautiful and tangible way for pregnant women and new mommas in Port au Prince, Haiti. They (Glennon and her readers and the non-profit Together Rising) held a 24 hour "love flash mob" and raised money to build a brand new second floor onto our current Maternity Center. This large second floor classroom will allow us the needed space to serve more women at one time. We are waiting on electricity and fans and a few other comforts that will soon be installed upstairs but we were (are) too excited to wait any longer so we are holding our first ever Thursday Prenatal Class upstairs today! The next phase of the project is to make the prior (downstairs) classroom into the new Post Partum Recovery area. It will be far brighter, cooler, and more comfortable. We are excited to move out of the very small post-partum room we had. That room will now become a consultation room for Prenatal care, etc. We are so thrilled to be making the most of our beautiful little house. MATERNAL HEALTH SAVES LIVES and PREVENTS ORPHANS! Beautiful, clean, spaces help us communicate how.incredibly.worthy every woman is. We want to provide for them, a kind, loving, excellent experience where they will feel respected while they receive high quality care in a peaceful environment! If you have three minutes, I want to tell you about this photo. Lots of people think that Midwifery is a little bit odd, Amiright? I've learned that some people think Midwives aren't trained and maybe don't practice caring for people with integrity or medical excellence. I've given enough tours of the Maternity Center to pick up on some of the bummer perceptions and presumptions. Midwifery is many things. If you'll allow me, I would like to explain. First and foremost it is this, ^ the photo you see above. 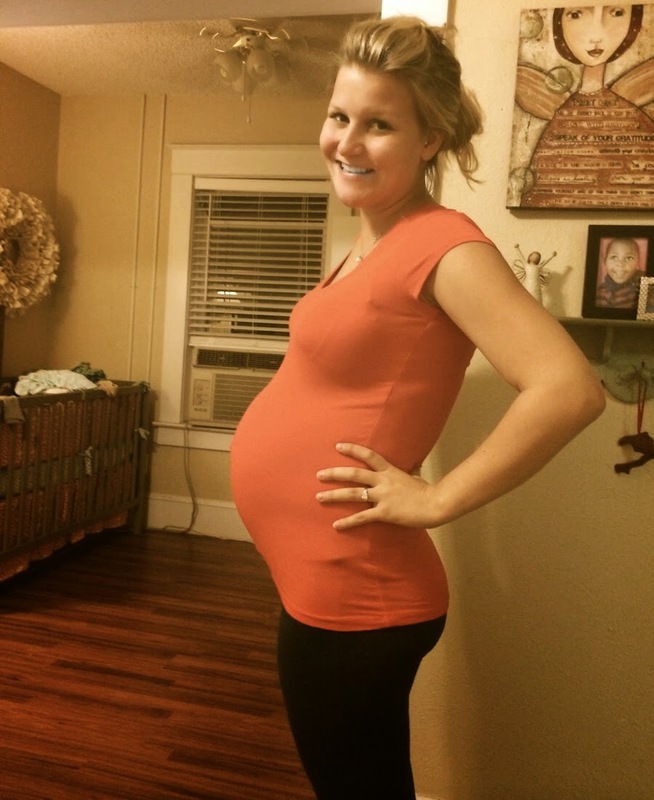 A young woman that has already lost two babies in her life, is anticipating the arrival of her little one. She asks Beth McHoul to hold her and comfort her during her 24 + hour labor - and Beth wraps her up in the love and tenderness and reassurance she needs in that moment. Later, Beth used medical skills and knowledge and a lot of training and experience to help this Momma do the brave work she needed to do in order to push a new life into the world. Beth knew how to handle the delivery and the bleeding and she knew how to help get the baby crying and breathing well. She knew about best practices and that in the developing world certain ways of managing the 3rd stage (placenta) make a lot of sense and help improve our outcomes. Beth knew to get the baby breastfeeding early and place the mother and child skin to skin. 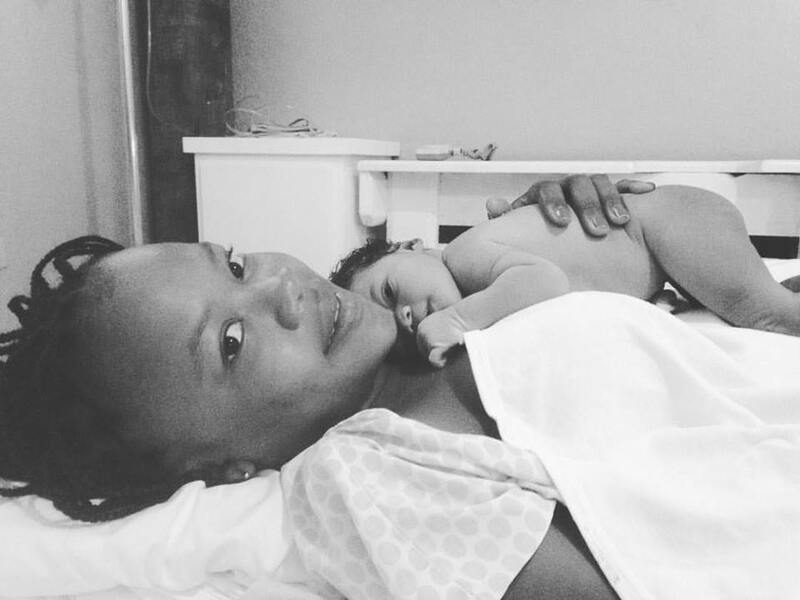 She put all that knowledge to work in the moments following delivery and continued to offer her support for several days after the birth. All of this is wonderful and valuable! 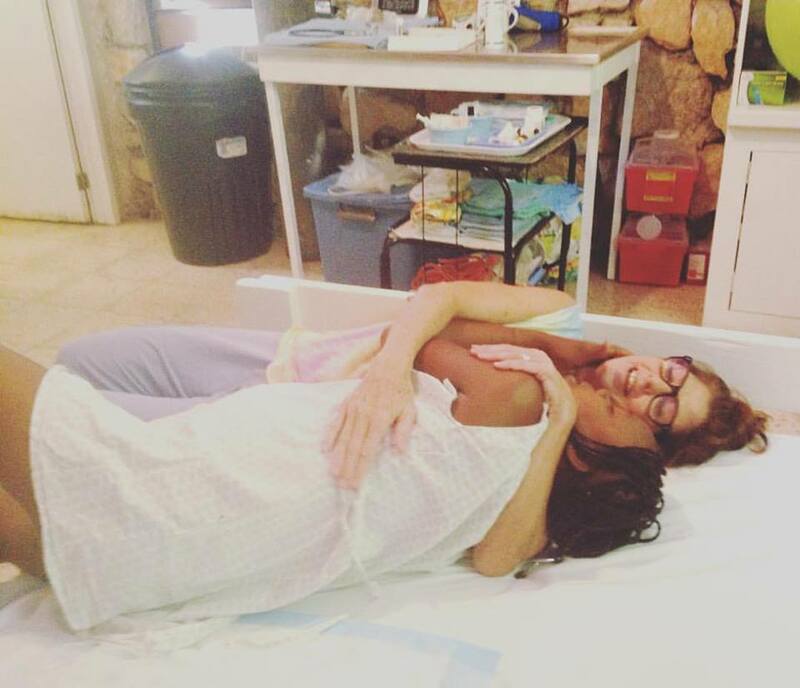 However, Beth's intimate knowledge of the Mom's life and medical history, the relationship she had built during prenatal care, and her understanding of the fears that the young Mom carried into the birth room the day of her labor were key to this lovely moment of trust and vulnerability. Midwifery and the model we employ at The Heartline Maternity Center means BEING WITH WOMEN - whatever that looks like. If you would like to help us be with women, we are currently in need of monthly sponsors that can support with a $25 per month donation. This support allows us to pay our amazing staff (jobs in Haiti are a wonderful thing too!) and keep offering these services. Please go to www.heartlineministries.org/family to join us!